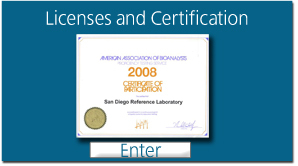 San Diego Reference Laboratory was first licensed in January of 1988 as a commercial clinical laboratory. The founding purpose was to provide clinical and toxicological laboratory services to the law enforcement community, private industry for pre-employment drug testing and treatment clinics. SDRL received its Certified Methadone Drug Analysis Laboratory License in the state of California from the California Department of Public Health (CDPH) in 1993. The license – earned by passing a perpetual, monthly blind proficiency test administered by the CDPH – has helped SDRL grow into California’s largest methadone drug testing laboratory and one of the largest and most-respected methadone drug testing labs in the country. 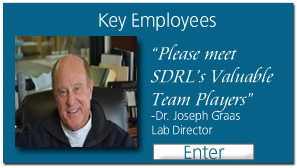 We strive to make partnering with SDRL as simple and painless for our clients as possible, so they can focus on what’s most important – helping their patients. Meeting the needs of our clients with comprehensive toxicology and clinical testing services. Providing service which reflects our commitment to accuracy, precision, prompt turnaround and accessibility to pertinent and useful information. Maintaining a work environment that recognizes and rewards achievement, encourages initiative and offers opportunities for growth and advancement. Operating with responsibility towards the environment and the communities within which we operate. Managing our resources to meet client and supplier commitments.